In 2009, Amelia Andersdotter, a member of the Swedish Pirate Party (Piratpartiet), won a seat at the European Parliament in Brussels, but her official appointment was delayed until this year. Despite the delay in taking her seat, Andersdotter will still be the youngest member to hold a seat in the current parliament. The Pirate Party and open source software are intertwined. Back in December 2009, the group released a Tor server for anonymous communication and an Etherpad service, PiratePad, for real-time collaboration on texts. I asked Andersdotter about the role open source plays in the Pirate Party. "A not insubstantial part of the member base is somehow tied to open source development or that community, I guess," she answered. Andersdotter says that the software the party developed and uses to manage their organisation is also open source. "Many of our founding members had been active in the pan-EUropean campaign against a codification of software patents in a directive in the Europarl between 2002-2005," she adds. 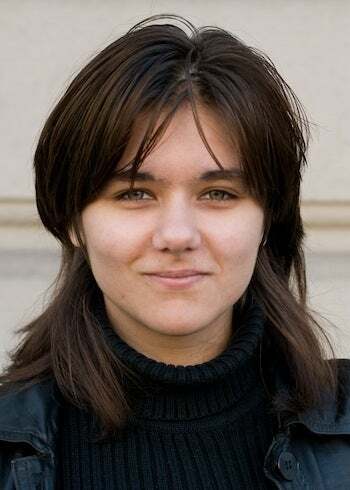 When Andersdotter was young, she became familiar with open source technology because she wanted to be a mathematician and to learn the TeX typesetting system. "A friend who was much older than me told me that I would need Emacs to write TeX," she explains. "I didn't know that it wasn't true, so I learned how to use Emacs. It's almost 10 years later now, and I'm not a mathematician nor am I particularly good with TeX, but I do still use Emacs and org-mode." One open source project Andersdotter currently follows is the Frodio project. "It's a web commnunity around radio streams," she explains. "I listen to a lot of radio, although not only music radio." The Frodio platform is built on HTML 5, CSS 3, jQuery, Mojolicious, Starman, and Liquidsoap. Andersdotter says that because the European Union has opted for what the OECD calls "facilities-based competition," citizens are waiting for "the market" to build infrastructure. "The European Commission and the Regional and Structural Development Funds are also being used a lot for infrastructural developments, so €1,2 billion euros are being put in infrastructure development over the next few years," she says. "But this is not enough — the Union is big and, sadly, the infrastructural development in many member states is lagging behind — or being actively impeded — by already dominant actors." Currently, there are no clear incentives for a private enterprise to invest in anything as costly as the infrastructure, Andersdotter says. "The problem with infrastructure is that once it's there, it only really needs maintenance, which is a fixed cost for the owner and not really something you can 'grow' upon — as in, grow economically, grow profit," she explains. "There's not much discussion around that — from the perspective of competition law, for instance," she continues. "What does it mean when an infrastructure provider — Internet service provider — doesn't have any way of using their infrastructure other than attempting to diversify or make more plentiful the amount of services they can offer on the infrastructure? Probably that they have to start making several products where there used to be only one-tiered pricing, differentiated content, etc." She says that the European Union currently lacks competition laws or market regulation to deal with those situations, which could easily turn into a huge problem. After that it did not seem strange when next day the pigs who were supervising the work of the farm all carried whips in their trotters. It did not seem strange to learn that the pigs had bought themselves a wireless set, were arranging to install a telephone, and had taken out subscriptions to John Bull, TitBits, and the Daily Mirror. In December, Andersdotter gets inaugurated into the European Parliament. What does she hope to accomplish over the next year? "It's difficult to say," she answers. "I would like for there to be a wider recognition of the dangers of us allowing too extensive vertical integration in the telecommunications sector. Or, like, net neutrality, I guess. I want more infrastructure, and maximum use of that infrastructure." If you'd like to see how things go for Amelia Andersdotter and the Swedish Pirate Party in 2012, keep an eye on her Twitter feed and the Piratpartiet Google+ page.